This outstanding quintet celebrates the 60th anniversary of the year that saw the release of some of the most revered jazz albums such as Kind Of Blue by Miles Davis, Mingus Ah Um, Brubeck’s Take Five, Ornette Coleman’s The Shape Of Jazz To Come and Blowin' The Blues Away by Horace Silver. It’s cooking & cool! 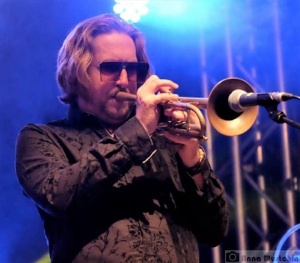 Led by highly acclaimed trumpet & flugelhornist Bryan Corbett, currently performing with the likes of The Brand New Heavies, the quintet also features award winning saxophonist and composer Chris Bowden. Don’t miss this chance to catch some great music performed by superb musicians celebrating 1959 - one of the most important years in jazz history.